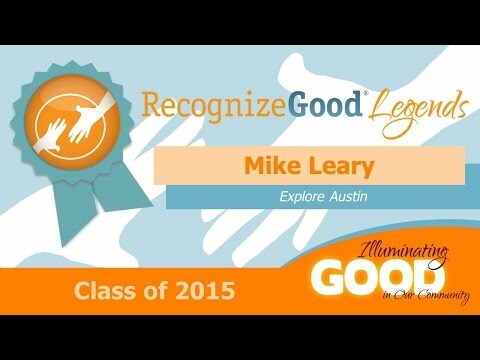 Mentoring the same team of 15 underserved youth for the past six years, Mike Leary’s incredible commitment through Explore Austin has given them the grit, curiosity and optimism that has changed the course of their lives forever. For many of today’s youth, having someone there by their side through thick and thin is as valuable as it is rare. Mike Leary is one of those rare people, dedicating himself to mentor the same group of 15 underserved youth for the past six years – through thick and thin, he leads them through wilderness and up mountains, all the while imparting the character-building life skills that prepare them to make a mark with their lives. As Explore Austin’s Mike Braeuer tells it, Mike Leary’s commitment to Austin’s underserved youth “could never be counted – nor would he want it to be.” That’s because the entire Explore Austin program centers around commitment – founded in 2006, the program combines the benefits of mentoring and outdoor adventure in a six-year program for Austin’s underserved youth in grades 6-12. A whopping 94% of the program’s explorers remain in the program for the full six years, and Mike’s special commitment to his explorers goes both ways as they learn and grow together.